As we launch into spring and everything is starting to bloom – we wanted to get down to the root of it all. The Colorado Organic Modern. Last year we had the opportunity to write a guest blog for KGA Studio Architects – and now, we decided to share with you. Enjoy – and don’t forget to check out the KGA Blog for more great information! Over the last several years, homeowners have gone from taking note of, to fully embracing, the organic modern kitchen. As kitchen designers, especially in Colorado, nature reigns supreme. 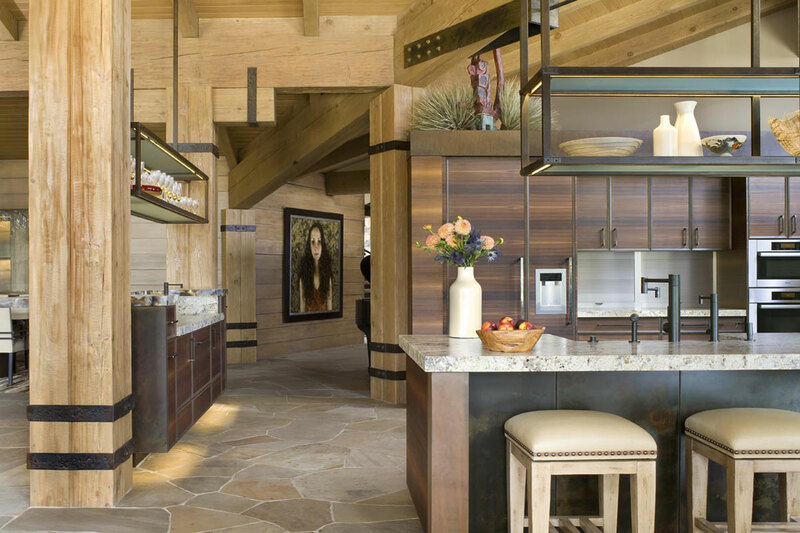 I’ve been designing kitchens for over 20 years, and love how the Colorado organic modern kitchen presents both the opportunity and challenge to combine technology with the home’s natural surroundings and the highest quality design and materials. What is Colorado Organic Modern? Simply stated, Colorado organic focuses on bringing the natural beauty of the exterior landscape to the interior. Of course, the trick comes when the wildness and rawness of an exterior setting can be harnessed and crafted into a functional living space. 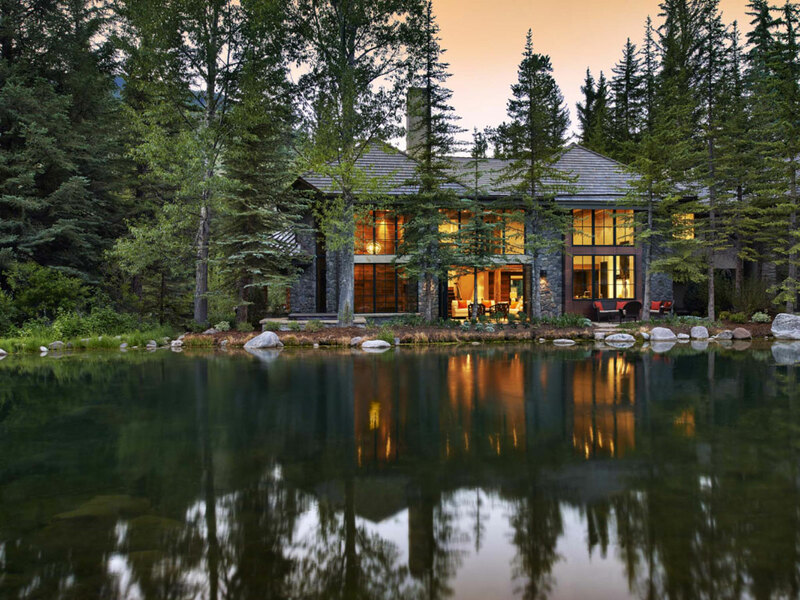 In the project below, the exterior – calm water lined by weathered stones, lodgepole pines cast at delicate angles from forceful winds juxtaposed with jagged and craggy rocks on the rough mountainside – provided purely organic inspiration for the home situated among the trees. Drawing upon the inspiration surrounding the home, a palate of six different materials was assembled and a new interior environment was created that harmonized perfectly with the exterior. By contrasting cool and light materials with warmth while transitioning from grey to brown to steel to stone, each material maintains its natural essence. The natural aging process of the patinaed steel combined with the brushed oak that echoes the tales of weathered fence posts create a kitchen space that is welcoming in a very instinctual way. Even the raw walnut flooring is earthy and feels native to the architecture of the home. With all of the natural elements, the style that emerges is clean and unadorned. Why Modern? Why Not Traditional? When thinking about the materials that make up a kitchen, it might be easy to say, “well, can’t you make any style kitchen organic?” The beauty in a Colorado organic modern kitchen lies in the lack of bells and whistles. The designs and layouts aren’t fussy – they’re smart and efficient – like nature. Nothing is shiny or polished and does not have to be embellished with moldings or raised panel cabinetry. There have been times in kitchen design where the look and feel of a certain time period was trying to be achieved through the design. Utilizing organic materials allows the design to track back to the roots of nature. By designing to compliment nature, there is no strain to reach for a certain look or time period, it is achieved by taking cues from the environment and therefore, timeless. 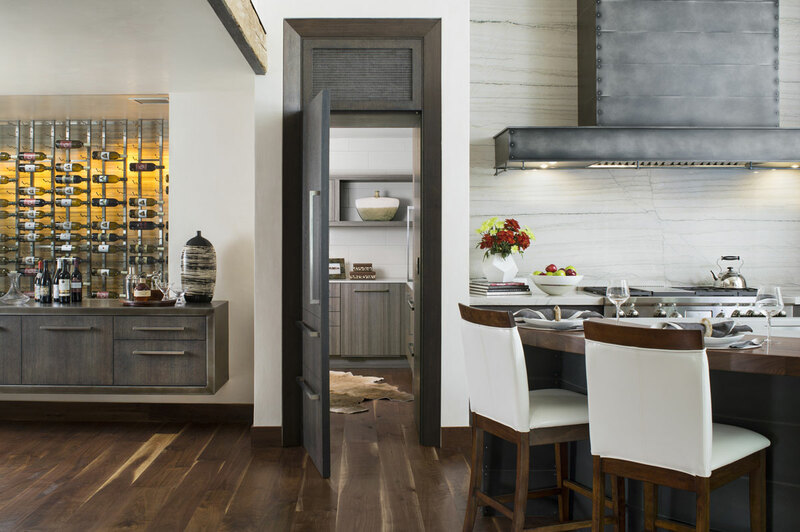 The Colorado organic modern kitchen is designed to fit and form like a leather jacket that has been worn so many times by its owner that each bend and stretch is custom and tailored. In many instances, the stone and steel elements play large parts in the functionality of the space while glass and wooden elements add to the light and dark, cool and warm aspects. 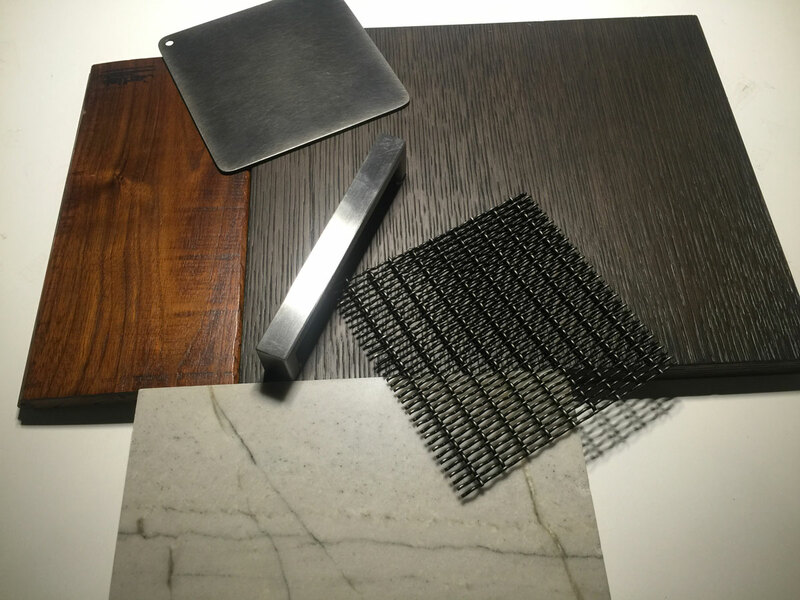 Though the materials are raw and uncontrived, the care and detail that goes into creating an organic space is not simple. Again, in mirroring nature, there are elements upon elements, layer upon layer. With a quick first glance, the overall look and feel of the organic kitchen is automatically felt, but once the home is lived in, once it is used, the complexity of the layers become more and more apparent. 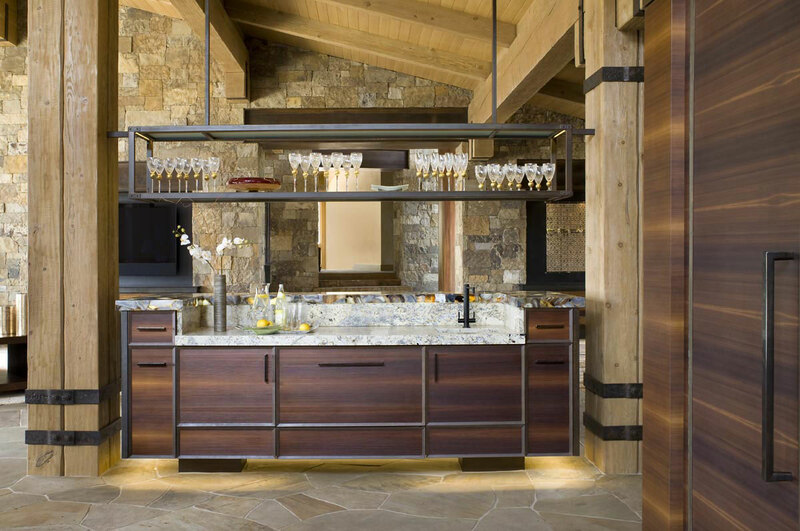 From the direction of the wood grain to the graining of the countertop, the orientation of the stone contrasted with the supporting columns, the cool and understated presence of the steel – all elements combine in perfect harmony and detail to create a truly Colorado organic kitchen that will withstand the test of time.